Line 5, constructed in 1953, sits across the bottom of the Mackinac Straits. It transports light crude oil and a much smaller amount of natural gas liquids to refineries in Canada and the Midwest. Some Line 5 propane is sold in the Upper Peninsula. A ship’s anchor made three dents in Line 5 on April 1, 2018. 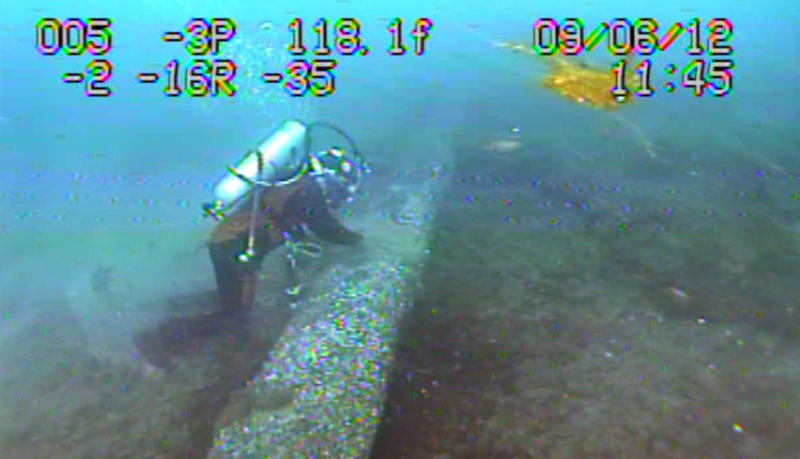 Public opposition to Line 5 has been building since a major 2010 oil spill of another Michigan pipeline and a 2014 study of the dangers Line 5, which is owned by Enbridge, Inc., could pose to the Great Lakes in the event of an oil spill of its own. The report highlights these incidents as wake-up calls, alerting people to the “very real” risk of oil spilling into the Straits. 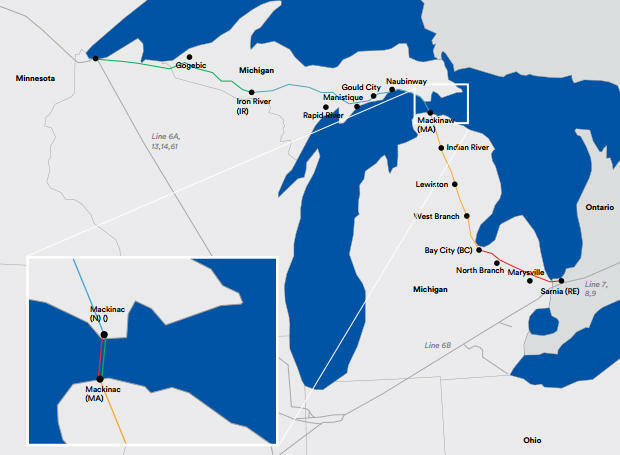 The report goes on to show how the other existing pipelines that cover North America will allow Michigan to have sufficient oil supplies, even if Line 5 is shut down. It also details how the pipeline is a greater benefit to Canada than to Michigan. Groundwork acknowledges in the report that a small part of Line 5 product is used to heat homes and business in the Upper Peninsula. However, it proposes delivering propane to the U.P. using trucks instead. If this were to cause extra costs for consumers, Groundwork suggests using Michigan’s clean energy fund to offset the cost. Jim Lively, program director at Groundwork and one of the principal authors of the report, spoke to Stateside about the situation on Wednesday. He said Line 5 has become largely a convenient shortcut for Canada-- the country has not been able to get approval for their own pipelines in recent years. 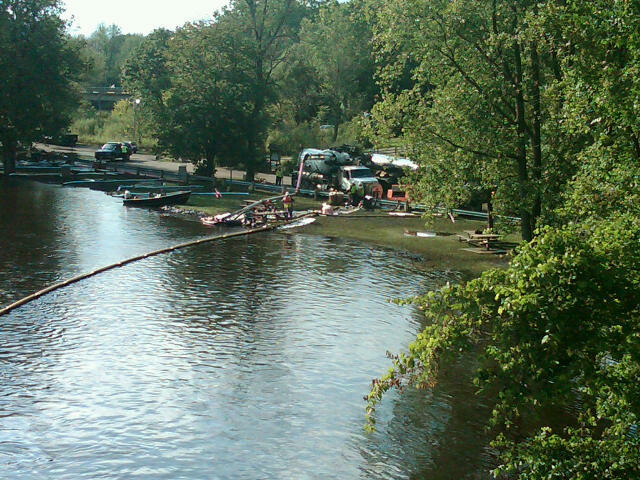 In 2017, Governor Snyder made a private deal with Enbridge to study replacement options for the pipeline. He’s promised to make a decision regarding next steps for Line 5 by September 2018. One possible option is to replace the current pipeline with a tunnel-enclosed one in the same spot. Lively thinks Snyder should instead shut down the entire operation. “The idea of a tunnel is certainly not an immediate solution. At the best, we’re talking about seven years before we would see that solution implemented, which means in Snyder’s proposal seven more years of risk in the Straits of Mackinac,” Lively said. Enbridge is a financial supporter of Michigan Radio. They responded to the report via an email statement Wednesday morning. Michigan’s economy would take a big hit from an oil spill in the Mackinac Straits, according to a new study. A study by Michigan State University ecological economist Robert Richardson estimates Michigan’s economy would lose $6.3 billion if there’s a significant oil pipeline break in the Straits of Mackinac. The study is based on a scenario where more than 2 million gallons of crude oil leaks from the Enbridge Energy Line 5 pipeline.